Gucci's mules grounded everything from leather pants to flowy dresses on the label's Fall '18 runway, proving just how versatile they are. 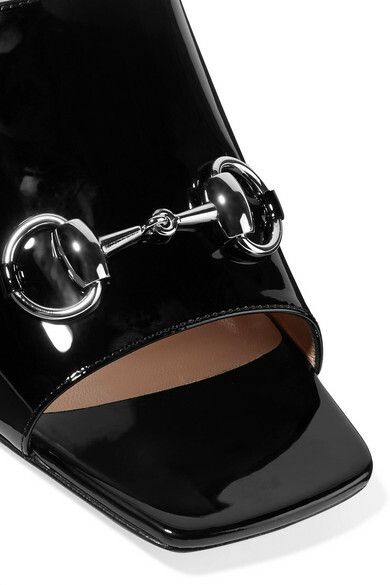 Made in Italy from patent-leather, they're topped with the house's iconic horsebit bar and have a cool square toe that matches the chunky block heel. Shown here with: Gucci T-shirt, Alexander Wang Skirt, Veronica Beard Blazer, REJINA PYO Tote, Sophie Buhai Earrings.